Lake Urmia, one of the world's largest hypersaline lakes, has been suffering from shrinkage for decades but when its satellite wetlands in the south showed signs of severe degradation, a group of ex-hunters and teachers sounded the alarm bell. Being ex-hunters, they knew about the ecological values of the Ramsar sites and were very familiar with the area and all its natural characteristics during the four seasons. The region was once a green and lush area where many endemic and migratory birds, including Flamingos, Great Bustard, White Headed Ducks, and Marbled Duck, bred. However, following the decline of the wetlands the region started to lose its beauty and rich habitat. The degradation of the wetlands was the result of various factors including droughts and unsustainable water irrigation. One practice that contributed to the degradation was the digging of water wells by farmers, who ceased to dredge the main source canals feeding the wetlands. Consequently, the streams became filled with sediment and water flow to the wetlands stopped. Satellite wetlands, such as those in the Naghadeh plain south of Lake Urmia, became even more important as the lake itself became increasing dessicated, - especially since the area is one of the routes for migratory birds. After forming an alliance with three other NGOs in the area, the hunters and teachers turned to SGP Iran for support in rehabilitating Sirongoli wetland, which had completely dried up. The groups also sought to develop a local management plan for the habitat of migratory birds. As public opinion settled on the idea that the wetlands were not revivable, the group focused on environmental education, trust-building and awareness raising activities to secure active engagement and cooperation from both local communities and governmental authorities. The initiative soon gained momentum and the network expanded to include seven organizations, including two women's organizations. With the support of SGP Iran, the organizations established the Central Committee for Revitalizing the Naghadeh Wetlands to manage an increasingly complex web of stakeholders that included communities, councils, CSOs, NGOs and various regional and local governmental bodies. With the expansion of the NGO umbrella network, wetland revitalization efforts grew to cover a total of 1,500 to 1,600 hectares in the region, targeting the closely linked Sirongoli, Hasanlou and Dorna wetlands. Seven communities with nearly 600 active members became engaged in this initiative and contributed to its design and implementation. The projects involved a range of activities to reduce the threats to biodiversity and wetland replenishment. This included the dredging of 18 km of canals from Qadar River to maintain the flow of unused farming water to the Sirongoli wetland during the winter season. To revive Hasanlou wetland, 5000 trucks of soil were transferred to build a dike, an overflow bridge was constructed and a buffer between the wetland and the sandy drainage of Hasanlou dam was created. As habitat conservation was also an important goal of the projects, the communities carefully mapped the wetland areas, including locations of bird nests and vegetation. Ten years since the project commenced, the achievements of the wetland pilot initiatives supported by SGP Iran have become clearly noticeable. Removing the physical barriers within the interlaced wetland landscape transformed the formerly inactive ecosystem into an increasingly alive and dynamic one. The revitalized Sirongoli wetland has maintained its water levels during the last years, thanks to the maintenance work undertaken by the communities. The adjacent wetlands Hasanlou and Dorna have so far been partially revitalized. 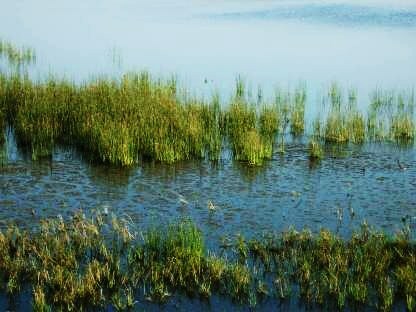 The revitalization of the wetlands has also reinforced underwater aquifers and halted the degradation of surrounding grasslands and mountains as local biodiversity became more robust. Safe, revitalized habitats have lured back some of the migrating birds, such as different types of Goose, Whooper swan, Ruddy shelduck, and Common shelduck . Even endangered species of flamingos can be spotted again in the area. Celebrating this joyful event, the project partners produced a book entitled "The Purple Gem of Soldouz Plain, the return of Flamingos" to document this accomplishment. Today the communities continue to diligently monitor the status of wildlife in the area. 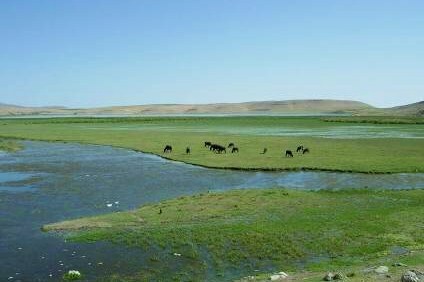 The Naghadeh wetland projects are an excellent example of how only a few but effective community strategies can have a large impact on environmental conservation. Many wetland communities have since visited the project sites to learn about rehabilitation techniques. The SGP projects addressing rehabilitation of the Sirangoli and Hassanlou Ramsar sites were recognized by the National Wetland's Champion Award in 2008, as one of the most successful experiences related to preservation of wetland ecosystems and promotion of wetlands culture in the country. SGP Iran's extensive experience was also incorporated into Iran's national management plan for wetlands when the Department of Environment's Deputy on Natural Environment and related governmental bodies requested SGP's perspectives on the Draft Law on Management and Conservation of the Wetlands in Iran. 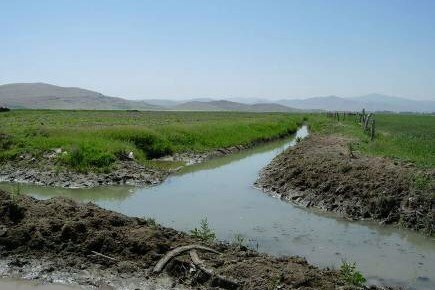 Starting in 2010, SGP Iran's local network and experience with wetland projects provided an entry point for connecting with a larger, country-wide initiative, the Conservation of Iranian Wetlands Project (CIWP). This full-size project implemented by Iran's Department of Environment, the United Nations Development Programme and funded by the GEF, officially approached SGP to provide inputs for its planning and implementation phase at the Lake Urmia basin, one of its three pilot sites. CIWP's pilot projects have also provided the blueprint for Iran's National Conservation Strategy and Action Plan which was launched in 2011 and includes SGP as a partner agency. SGP Iran has since been working with CIWP on a number of projects recovering wetlands across the country.